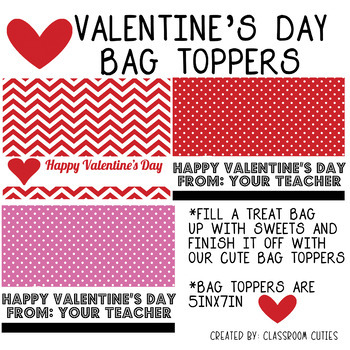 Are you looking for a cute way to dress up your Valentine treat for your students? My bag toppers are perfect for your Valentine's Day treat. All you have to do is print them out and then you fold them in half like tents. Two cards print per 8.5" x 11" page. 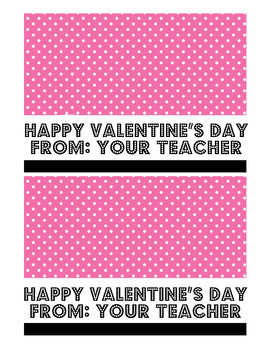 You can print them on cardstock or photo paper. You will receive 3 different designs. TpT gives credits for every $ you spend ONLY after you provide feedback to the seller. You may use your credit points for future purchase of any TPT products! Your feedback is so important and greatly appreciated! Click the Green ★ to follow my store. You will get notifications of new products and freebies!